It was last weekend, at a special team event in Boston. The instructions to me were clear: engage the group in a short conversation on ‘brand.’ (Nothing too deep or heavy; this was lunch on Saturday…) After that, we’d get to the fun part of our agenda in and around Boston. So, over cannolis from the renown Mike’s Pastry, we dove into a short exercise on brand perceptions. Five teams, each with a simple mission: choose a brand rooted in Boston’s culture. Think of the words or images that immediately come to mind… and describe the brand as succinctly as possible to the rest of the group. The results were quick and telling. Sam Adams: an independently crafted Boston beer; named for a Founding Father. Ben & Jerry’s: fun, quirky, offbeat and socially-conscious. Cheers: the bar where everybody knows your name. Good Will Hunting: an inspirational blend of blue collar South Boston with high-browed MIT. You can probably see what was going on. Each team was able to immediately offer a concise view of the brand. These weren’t facts or certainties. They were perceptions. Nothing more. And we still had one brand left to discuss: the most famous university in the world, Harvard. Peter stood, removed his glasses and waited a moment. Without a word, he quietly assumed the pose of a snobby professor. 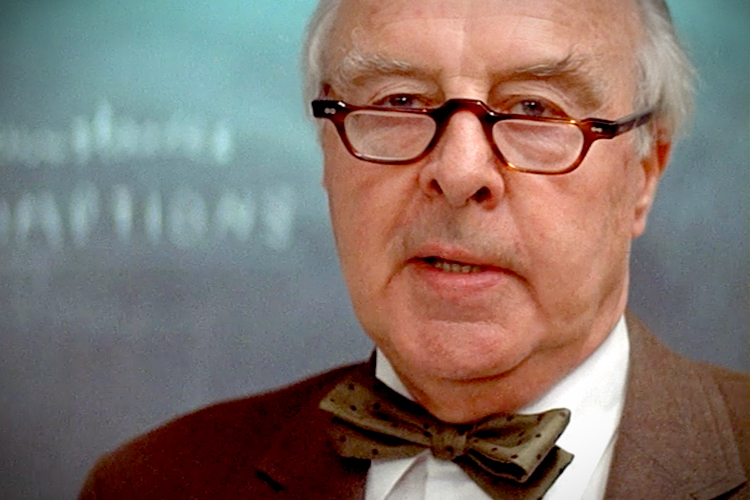 It wasn’t far off John Houseman’s Oscar-winning role (above) as Professor Kingsfield in The Paper Chase. Of the highest standard and quality. And a bit snooty, too. Our brand is what others think we are, not what we say we are. You’ve heard it before, and it’s true: perception is reality. Oscar Wilde once said, “What other people think of you is none of your business.” I get the sentiment, but when it comes to our brands, I disagree. We need to definitively know what the perceptions are. Do they line up with who we really are and what we stand for? Is what we’re all about clear to those we serve? If YES, great. We’ve now got some jet fuel to guide our brand, stay on track and pay attention to the right things. If the answer is NO, then it’s up to us to change the perception, nobody else. It’s our problem. We own it. And we need to do something about it. The best way to know is to engage a third party to do some quick, thoughtful surveying of our market base. Brief conversations (instead of anonymous online surveys) are often helpful. And an independent practitioner almost always delivers more truthful responses. So, it’s better to know than not know. The good news: changing perceptions isn’t impossible. Nor does it need to be complicated. Focusing on the Holy Trinity of brand-building, which I’ve ranted about in many ways before. No, perceptions aren’t always true or fair. But perceptions can be changed. So, it’s important for us to know what the perceptions are in the first place. How is your brand perceived today? Are there perceptions you’d like to change? © 2017 · Postons Brand Consulting INC.